CRIMINAL LAW IS TOUGH - SO ARE WE! 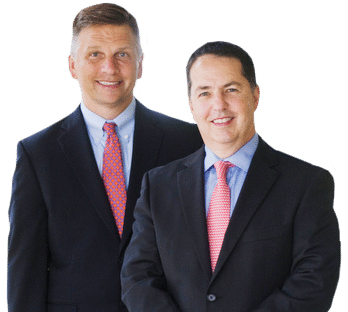 Clint Broden & Mick Mickelsen are board certified by Texas Board of Legal Specialization in Criminal Appellate Law and Criminal Defense Law. Clint Broden & Mick Mickelsen have been awarded Texas Super Lawyer each year since 2004 by Thomson Reuters. Clint Broden & Mick Mickelsen have received AV rating from Martindale-Hubbell each year since 2000. 2015 Client admits guilt in eleven home invasion/robberies. At trial the State request the jury to give him 50 years, the jury gives him probation. 2015 Client confessed to participation in drive by shooting with two co-defendants. The co-defendants plead guilty. Defense investigation establishes that client’s confession and confession of two co-defendants are false. Case dismissed against client. On March 20, 2008, a client represented by Clint Broden at a jury trial held in Dallas County was found NOT GUILTY of molesting his step-granddaughter. Following the acquittal, the client’s records was expunged. A client facing a life sentence was found NOT GUILTY of murder despite the fact that he was identified by an eyewitness and implicated in the murder by his accomplice. 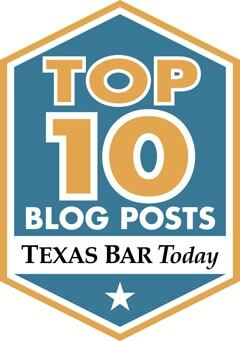 Broden & Mickelsen represented a client who had been sentenced in state court to 70 years imprisonment for robbery. In a post-conviction proceeding in federal court under 28 U.S.C. § 22554 (a “2254 motion”), the United States Court of Appeals for the Fifth Circuit reversed the client’s conviction after finding Dallas County prosecutors improperly struck two African-Americans from the jury that heard his case. Broden & Mickelsen represented a doctor charged with medicare fraud who faced a prison sentence and loss of his medical license. Shortly before trial, Broden & Mickelsen negotiated a settlement where the client was place on pretrial diversion without any conviction or damage to his license. On February 21, 2008 in the United States District Court for the Western District of Texas (Midland Division), a client with three prior federal drug convictions who was facing 22-27 years imprisonment for being a career criminal was found NOT GUILTY of a new drug charge after a three day trial. Only 35% of Mr. Broden's Federal Trials Resulted in Final Convictions for the Client. Like every profession, there are numerous attorneys who are dedicated to charging fair fees and zealously representing their clients. On the other hand, there are numerous attorneys who are either not qualified in certain matters but will become involved if ‘the price is right,’ or who are not dedicated to putting the interests of the client first. If you are charged with a criminal offense, there will be several considerations when selecting a criminal defense attorney who is truly committed to giving you the best representation possible. The Board obtains evaluations about the attorney from judges, prosecutors, and other criminal defense lawyers. Generally, a federal court is a much more formal atmosphere with strict deadlines and also involves more written “pleadings” than state court. Broden & Mickelsen LLP are often consulted by news media to provide expert commentary on important legal events and significant cases.